Here we go again - another recipe that's fairly quick to prepare, although it needs some time to marinade, and cook. Prepare it the day before, let it sit in the fridge over night and you're sorted very quickly the next day. Cooking the couscous is really just a matter of pouring on some water, the lime juice and the lime zest so that's not really a chore either. Mix all the ingredients for the marinade well in a large bowl. One by one put the chicken breasts between sheets of cling film and bash them with a mallet or similar until about 5 mm thick. Pop the chicken into the bowl with the marinade and make sure to stir well so they're all well covered. Cover the bowl with some cling film and put it into the fridge for a minimum of two hours or up to a day. When you are getting ready to cook the chicken, remove it from the fridge to bring it to room temperature. Prepare the couscous as per the packaging - adding the lime juice and zest. In the meantime, heat the oven to 160c. Put the chicken breasts on parchment paper on a oven tray. Cook in the oven for about 15 minutes or until cooked. If you think the chicken looks a bit anaemic you can always finish it off under the grill for a bit. 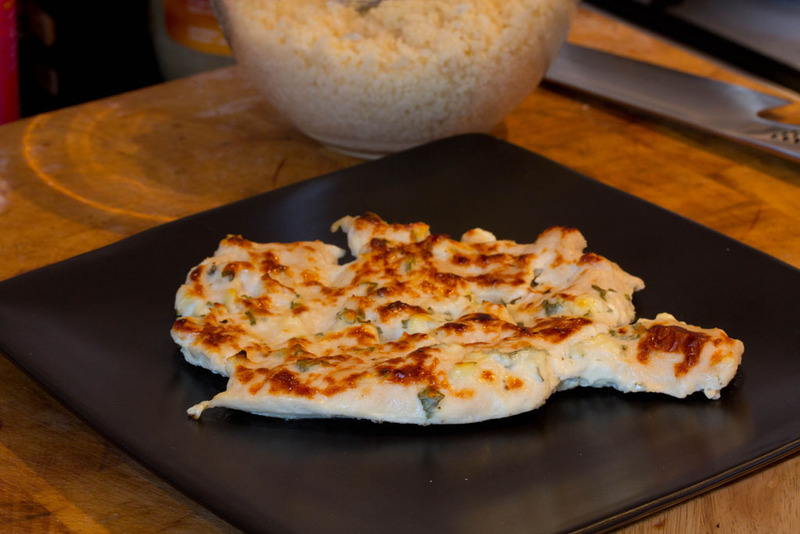 Serve with the couscous and a green salad if you are in the mood. I have only ever tried lemon not lime with couscous. It looks interesting. Will certainly have to try this one. Thank you. I guess both works as well, I just find that lime is less 'sharp' and have a bit more rounded flavour. At least for me. Glad you liked the idea - let me know what you think if you do try it. Loving variations on cous cous at the moment, and yet another here to be trying out thanks. Glad to be able to inspire! Hope you like the end result.